In our continuing effort to focus on one room at a time each month, February, our focus is on the dining room. 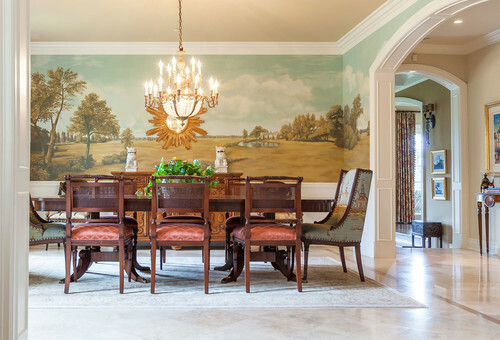 Dining rooms are seldom used the way they should be. More often than not they become a catch all for papers, homework time and temporary storage. 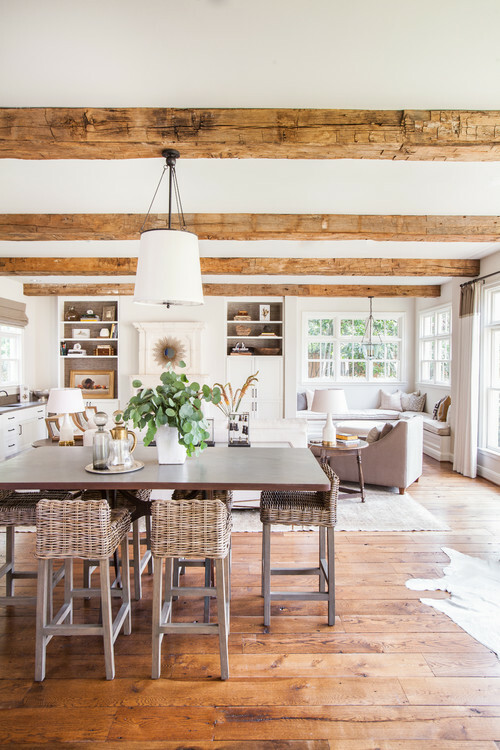 It almost takes effort to maintain the room for its real purpose, dining. 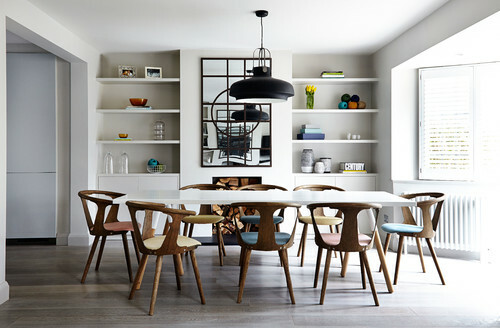 Dining rooms come in many different shapes and sizes. Some are formal, some are part of an open concept and some double as the kitchen. 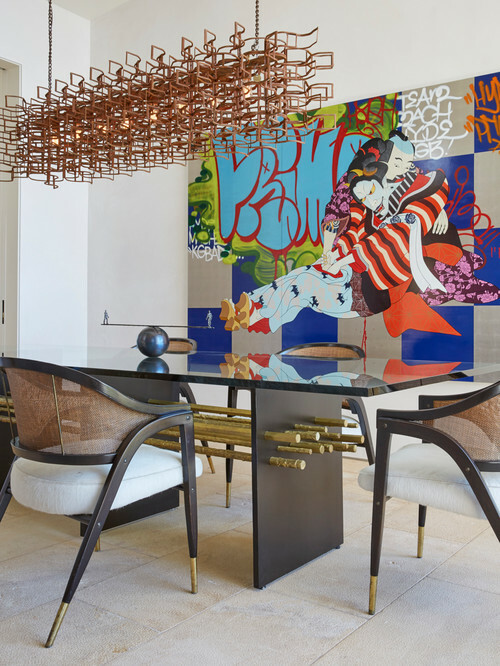 Whatever you situation here are 30 awesome ways to think about and design your dining room. 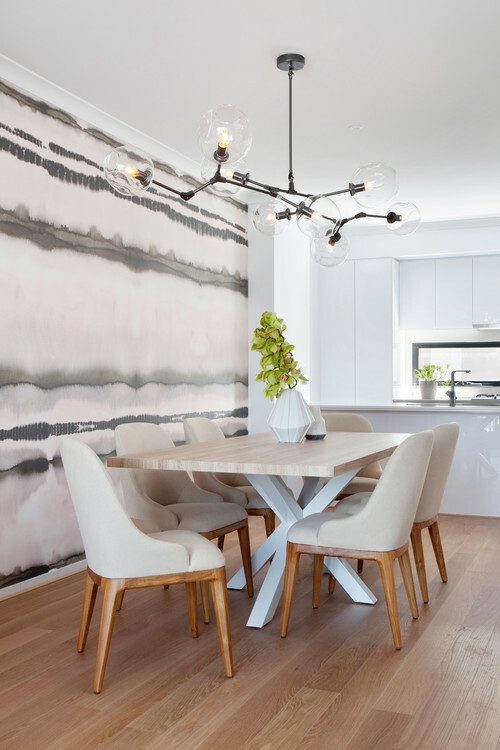 Modern dining rooms feel more open and bright. 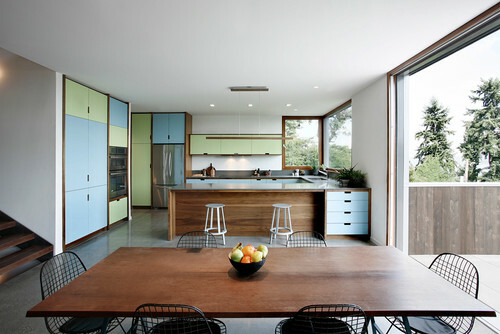 They use minimalist right angled tables and light paint colors. 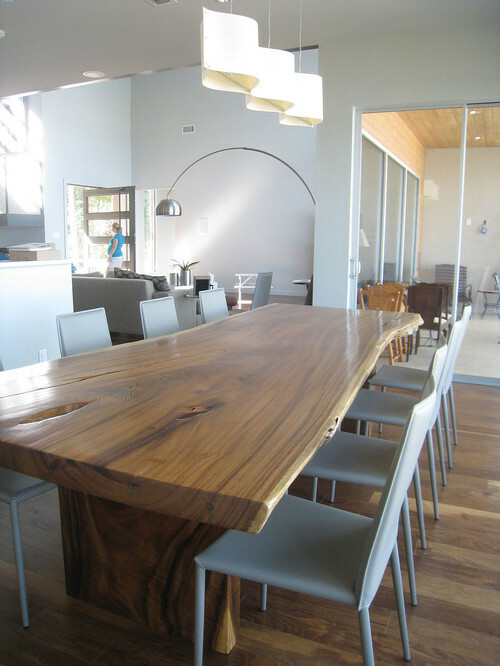 The tables and chairs are often made of multiple materials like wood/metal or wood/plastic. 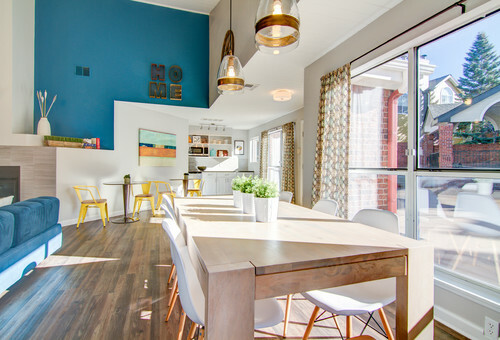 Open concept dining rooms are in an open space connecting the kitchen and living room. 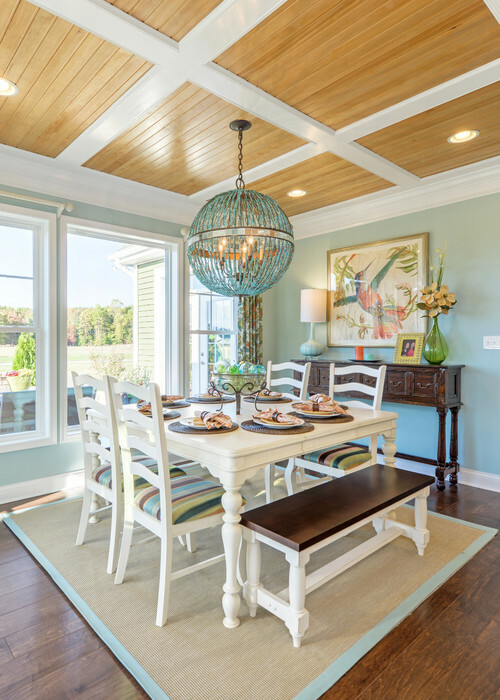 For these, a smaller table is best placed under the chandelier with a modest center piece. You only want the dining set to break your view enough to fill the space as opposed to block your view; making it feel too crowded. In general, you want at least as many chairs as the people in your home with the option to add a few for guests. The heads of the table often use slightly modified and more elaborate chairs to distinguish the heads and add visual interest to the set. Head chairs usually have arm rests while you other chairs do not. 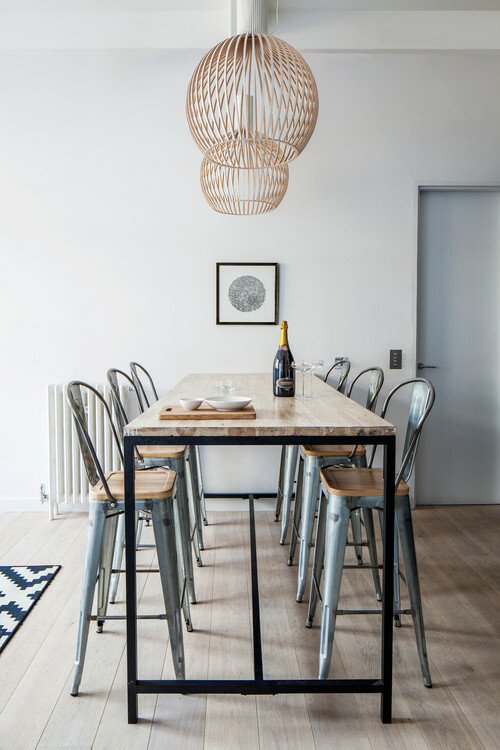 In selecting your head chairs, it's fine if the set comes with a pair that are already distinct, however, there is nothing wrong with hunting down some cool vintage chairs that are completely different from the rest to keep things really interesting! 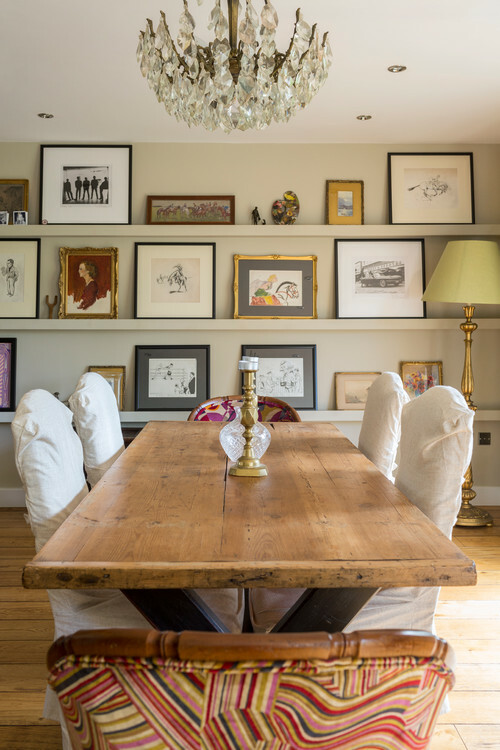 The dining room is also one of the best places for your artwork. For the majority of the time the dining room is not being used. For this reason it has to at least be decorative. It can almost double as your personal art gallery. 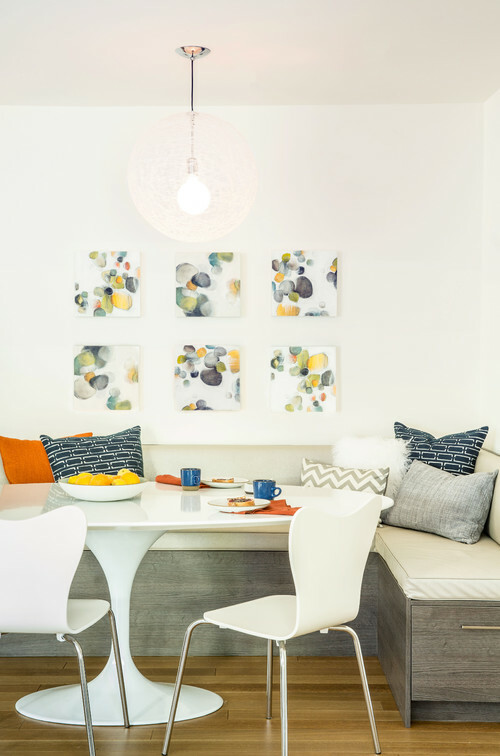 If you're an advanced decor enthusiast you can match your artwork to your table settings and put them on display. This set also features "L" shaped bench seating and a round table which is great for bigger families or entertaining guests. Round tables were first used to create a sense of equality among dining guests. This was the purpose behind the Knights of the Round Table. It was so different and distinct from the traditional elevated head table of the Middle Ages. The king and queen essentially sat in their thrones at the heads of the table. To create a sense of brotherhood the Knights of the Round Table did not distinguish one "head" of the table. Thus, all of the chairs should be the same. 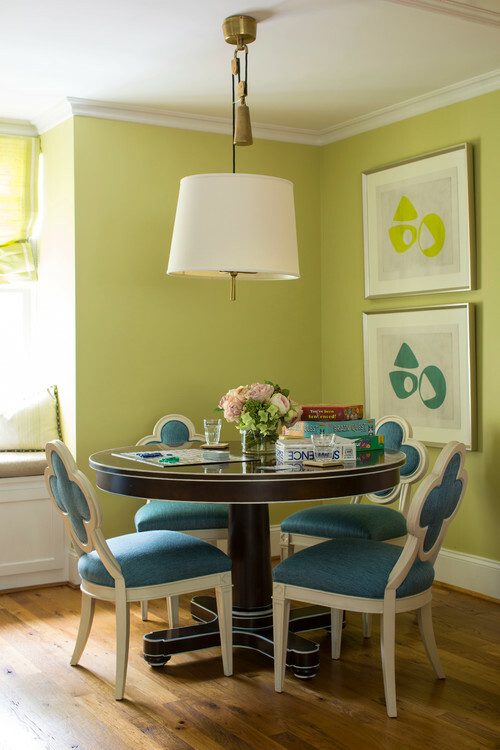 Round tables are also ideal for conversation and fit better in smaller dining rooms. 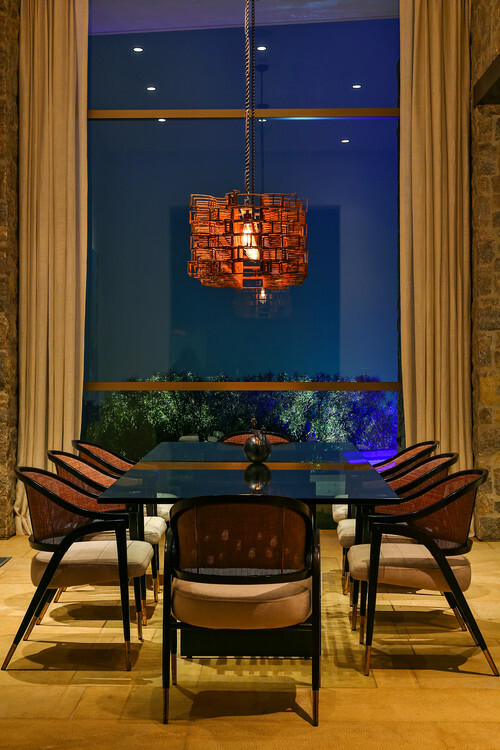 Most dining rooms will be used at night when the light is low. When undertaking the redecorating of your dining room think about what it will look like in the evening time as well as the day. 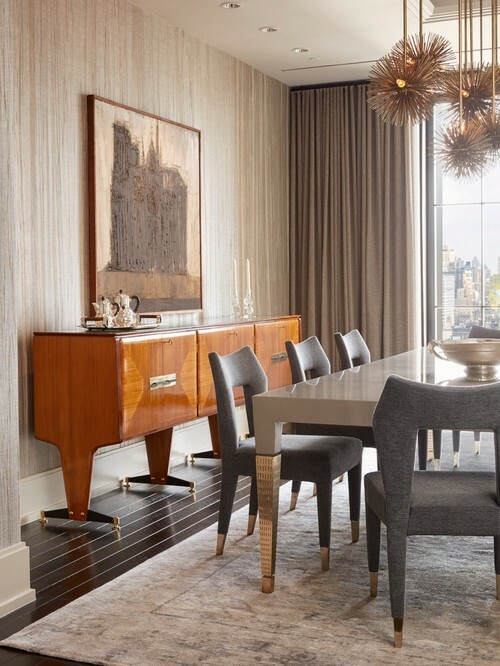 Darker colors are appropriate in a dining room because they tend to make the room feel more intimate and cozy. Painted china cabinets and bright, colorful drapes can make a traditional dining room feel like its got a some modern flavor. Adding a bench to your seating arrangement is perfect for when you have a big family. Kids are smaller and so you can squeeze more on a bench–cafeteria style. 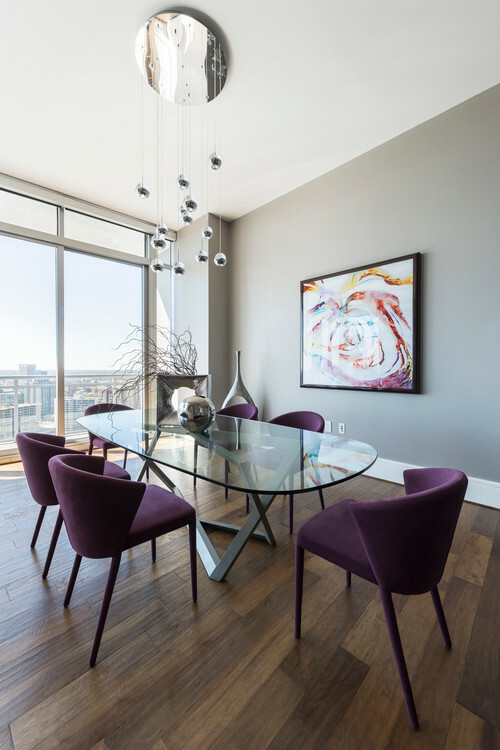 Deep purples, navies and even blacks are a great choice for a bold look in a dining room. 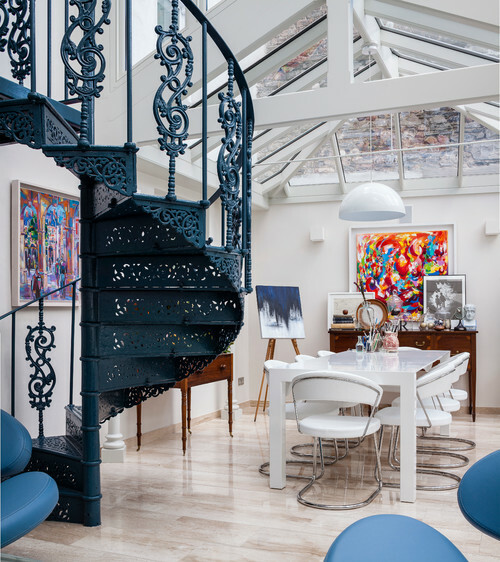 For most other rooms dark colors tend to overwhelm where as in dining rooms they invite and seduce. Purple always works in a dining room. 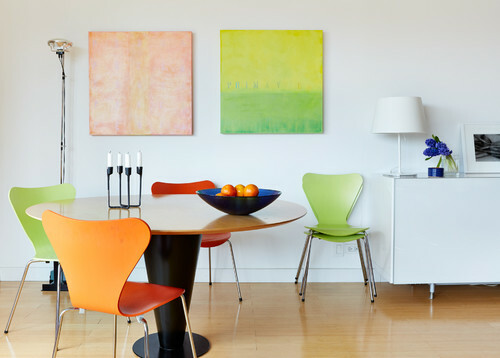 Dining rooms are also the perfect place to get funky with color. Because you aren't in them for very long, the color can serve as eye candy, popping up throughout the day as you walk past, giving your home some extra flavor! Adding a buffet to your dining set is a great functional and decorative feature for any dining room with the space to accommodate one. It's functional in the sense that you can bring all of the dishes out to the buffet first and have your family fill their plates from the buffet. This avoids overloading the table with dishes which can be a little cumbersome when trying to eat together. It also avoids having to pass around dishes the whole night when people want seconds. Wallpaper accents are coming back in full force. Some of the newer designs are really beautiful, not just for grandma's house. 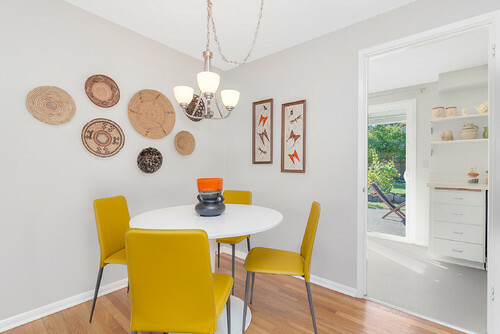 Dining rooms are a great space to double as a library. Organizing your books by color makes it a triple bonus.